Renegade thinkers crash the gates of a venerable American institution, shoving aside its so-called wise men and replacing them with a radical new data-driven order. 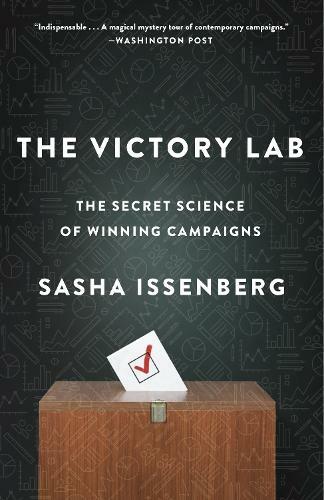 We've seen it in sports, and now in The Victory Lab, journalist Sasha Issenberg tells the hidden story of the analytical revolution upending the way political campaigns are run in the twenty-first century. The Victory Lab follows the academics and maverick operatives rocking the war room and reengineering a high-stakes industry previously run on little more than gut instinct and outdated assumptions. Armed with insights from behavioral psychology and randomized experiments that treat voters as unwitting guinea pigs, the smartest campaigns now believe they know who you will vote for even before you do. The Victory Lab offers the secret history of modern American politics, pulling back the curtain on the tactics and strategies used by some of the era's most important figures--including Barack Obama, Rick Perry, and Mitt Romney--with iconoclastic insights into human decision making, marketing, and how analytics can put any business on the road to victory.